Taunggyi Time (ေတာင္ႀကီးတုိင္းမ္): Is the Treaty of Brest-Litovsk come back haunting? Is the Treaty of Brest-Litovsk come back haunting? Very few students of history would recollect the Treaty of Brest–Litovsk between Germany and the Soviet Union signed on March 3rd 1918 in World War I. From the outset, both states sought to overthrow the system that was established by the victors of World War I. Germany, laboring under onerous reparations and stung by the collective responsibility provisions of the Treaty of Versailles, was a defeated nation in turmoil. Whereas the Russian Civil War made both Germany and the Soviets into international outcasts, and their resulting rapprochement during the antebellum was a natural convergence. At the same time, the dynamics of their relationship was shaped by both a lack of trust and the respective governments' fears of its partner's breaking out of diplomatic isolation and turning towards the French Third Republic which at the time was thought to possess the greatest military. It can be assume that the same dynamics applies today to the two pariah nations of Burma and North Korea, as both are internationally outcaste and the ruling Generals of both countries are very cruel to their own subjects, using scarce resources on nuclear weapons rather than on improving the lives of the people. Both countries are facing continued economic deterioration; both countries are accused of attempting to earn hard currency through the illegal drug trade and other illegal means. Tensions and concerns over North Korea's pursuit of nuclear profiteering weapons and launching several tests missiles provoked international condemnation and when it conducted a small underground nuclear test was strongly condemned internationally, including China its best ally and resulted in military sanctions just like its counterpart, Burma. The Burmese generals have started a secret program to develop nuclear weapons and ballistic missiles to deliver them in a high-stakes bid to deter perceived hostile foreign powers. In the strategic footsteps of North Korea, Burma's leaders are also building a complex network of tunnels, bunkers and other underground installations, where they and their military hardware would be hidden against any external aerial attack, including presumably from the United States. It now has the capacity of using laser isotope separation, a technique for developing nuclear weapons. Burma will definitely become the first nuclear power in Southeast Asia, if the world continue to give the ruling generals a free hand to pursue their secret ambitions, writes the Irrawaddy, while Al Jazeera well documented broadcast detailing the latest shocking evidence of Burma's bid to become a nuclear-armed nation was proven beyond doubt. It offers the most compelling evidence, yet of a threat that the international community can no longer afford to ignore. The emergence of another paranoid dictatorship with nukes will dramatically change the region's security dynamic, quite a high price paid for its Constructive Engagement by the ten members ASEAN. It is high time for the international community to get serious about addressing a security threat that grows more ominous with each new revelation. No doubt it will put the country on a collision course with the US and even the ever rising US Senator Jim Webb, a pro engagement lobby for the Junta, tipped to be the next Secretary of State cancelled his scheduled trip clearly indicates that something very serious is going on with the nuclear programme inside Burma. The generals knew that outside attack like the US is unlikely, but a popular uprising is the reality. The 1988 democracy uprisings, the 2007 Saffron revolution and the deliberate refusing aid for cyclone Nargis have touched the people`s heart. The generals saw the writings on the wall and saw the need to move themselves and vital military facilities underground and away from populated areas. This is but one of the reasons of why the Junta's bizarre and sudden moves to the new capital Naypyidaw in the jungles of central Burma. North Korea which had one of the world's most extensive complexes of tunnels, storage facilities - and even weapons' factories - all hidden from the prying eyes of real and imagined enemies and proved to be a role model and was copied by the Burmese Generals somewhat similar to the modern version of Brest Litovosk Treaty. So what should be the conclusion of the International community? From my humble perspective is that there are two plausible alternatives, one is for the international community led by the US should raise the issue of UN Security Council that forbid weapons trading with North Korea and test whether the Junta’s best friend China and Russia would object. The West led by the US should act quickly for its clear violation of UN SC Resolution No. 1874. The second alternative is for the West to twist the arm the ethno democratic forces of Burma and compelled them to wield under a single command, starting with the ethnic nationalities of Northern Alliance (composed of different Wa groups, Kachin and Shan) to have a working relationship with the Southern Alliance (composed of KNU, Mons, Karenni, Arakanese and the UBs) and this can easily be done with the help of China. The old ethnic elites which harbour sad and unworkable political memories should be replaced by the younger pragmatic leaders that can understand the democracy movement both inside and outside the country. 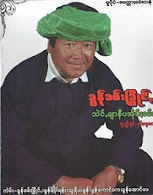 Once the right nixes of these ethnic and prodemocracy movement is found which will not lead to Balkanization but able to build a nation state on equal and fraternity ground, than the West should armed them and let the people of Burma fight the Junta’s army. This will tantamount to killing two birds with a stone because it will not only solve the chronic Burmese problem but create a far safer world at least in this part of the globe by removing the potential nuclear arsenal. Perhaps a stitch in time saves nine.